The Creative Craft Centre in Dewsbury announced that 3 of their shop windows have been smashed, in less than a week. 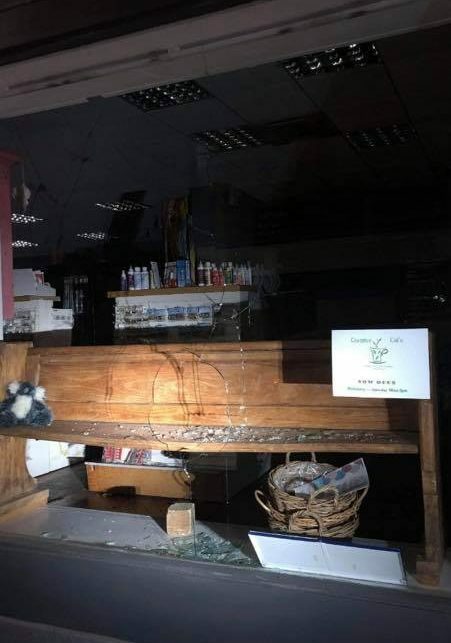 Prior to the attacks, the Craft Centres shop front, and adjoining café, consisted of 6 large windows–until one was broken on Thursday 14th March, another was smashed on Sunday 17th March, and most recently the third window was obliterated on Wednesday 20th March at 7:50pm. 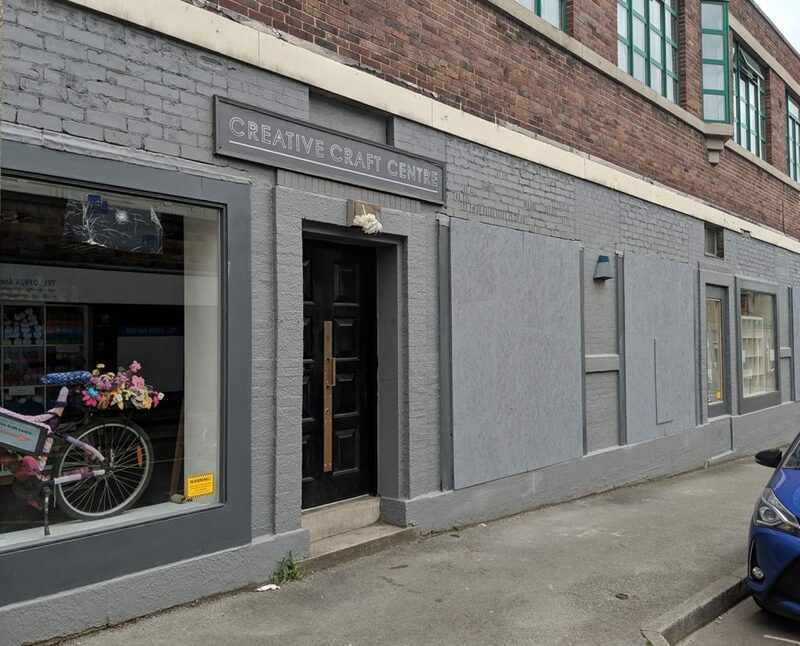 The Creative Craft Centre has been situated in Dewsbury Town Centre for over 22 years, but now the town is seeing a spate of “mindless acts of vandalism”. An elusive group of young teenagers are consistently running a-muck in the town centre and causing damage to local businesses such as the dental surgery Baker & Rigby– who’s windows have also been smashed, and the Borough Market based sweet shop Toffee Smiths– who recently had their closed shutters prised open from the bottom. Creative Craft Centre Dewsbury’s latest broken window. The cost of repairing just one of Creative Craft Centres windows sits in the region of £500-£800. Times that by 3 and it equals to a costly repair job. Another security option that Jenny has considered is the fitting of shutters, but she says it is just more expensive and from the sweet shops experience might not do any good at the moment. “I am not repairing the windows until something is done about the delinquents running a-mock. I just can’t afford for it to keep happening. The craft centre is moving forward by turning what has been a such a negative experience into something positive that can reunite the community in a small way. 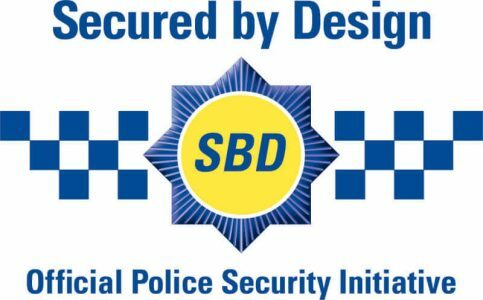 If you have any information regarding the attack on Creative Craft Centre- Dewsbury, please contact West Yorkshire Police on 101. 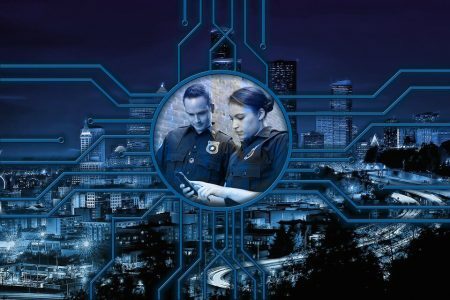 Looking to read somthing else?